The 2018 Social Law Firm Index takes a comprehensive look at the top 200 law firms in the country (as ranked by The American Lawyer) and analyzes, measures, and ranks each firm’s reach and engagement across a variety of social media channels and content platforms. We asked the top firms in each category to describe their experience and efforts in achieving success. Many firms in 2018 placed an increased focus on search engine optimization. Creating consistent, quality thought leadership content is important for attracting new clients, but ensuring that that content can easily be found is essential. As the top thought leadership firm in our 2017 Social Law Firm Index, it’s no surprise that K&L Gates soared to the No. 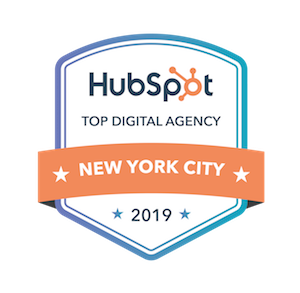 1 position in our SEO category this year. The goal of search engine optimization for K&L Gates is to attract visitors who are interested in the services they offer and to position the firm so that the visitors become clients of the firm. Therefore, they utilize an array of tactics to bolster their SEO. For instance, when they publish content, they always utilize title tags to improve SEO results. “We make every attempt to ensure that our material prominently appears when people use search engines to seek information,” says Berardi. At K&L Gates, SEO strategy is one and the same with their overall digital marketing strategy. The firm understands the benefit of utilizing social media to bolster their marketing program. SEO is tightly correlated to their social strategy; publishing content socially helps them strengthen their SEO rate. And, until recently, they published all of their thought leadership on Google+ as a means to strengthen their search results on Google. K&L Gates utilizes analytics to assess their traffic patterns and has seen a measurable impact on the firm’s success related to SEO. Year-to-date, over 65 percent of their traffic comes from organic search. For complete rankings, case studies, and legal marketing insights, download your copy of The 2018 Social Law Firm Index.